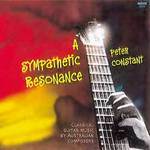 A sympathetic resonance : classical guitar music by Australian composers / Peter Constant. One sweet moment : for acoustic or electric guitar / Mark Clement Pollard. One sweet moment : version for vibraphone / Mark Clement Pollard. 1 Jul 2017: at Blinky Bill (Riverside Theatres, Parramatta). Featuring Ensemble Offspring. 30 Jun 2017: at Blinky Bill (Riverside Theatres, Parramatta). Featuring Ensemble Offspring. 29 Jun 2017: at Blinky Bill (Riverside Theatres, Parramatta). Featuring Ensemble Offspring.